Should/Can you get married in an Episcopal Church? 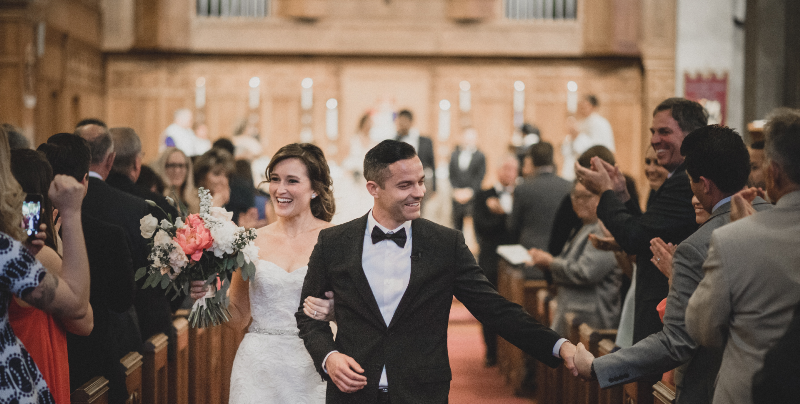 The celebration and blessing of a marriage is an expression of Christian community in which a couple makes their vows before God and the Church, and the priest blesses the marriage on behalf of the Church. If you are from outside the church in which you wish to get married, it is, therefore, very important that you do not announce a wedding date until you and your future spouse have met with the priest and the suitability of the celebration of your marriage has been determined. Congregations are encouraged to study the Holiness in Relationships Task Force Report and receive the vestry’s permission before proceeding with same-gender weddings.